My Happy Place, Cooking class! New Zealander by nationality, High School Teacher by profession, teaching both Japanese and English in a private school in Japan. Have returned to Japan after a 16 year stint away. I lived here for 10 years from 1987 through to 1997. Now it’s 2015 and I’ve been back for almost 4 years. I am reasonably fluent in Japanese and have numerous Japanese friends most of whom are not terribly Japanese. view the less I actually understand about the Japanese people and their way of thinking. When I started this blog my aim was to share my confusion and bafflement over things Japanese, have the odd rant and vent some pent up gaijin frustration while having a bit of a laugh, at my own expense more likely than not. A retrospective look on my travels until I manage to catch up! My own weekly challenge, I hope you will join in and share a post! I hope you will continue to drop by and I look forward to checking out your blog! I came across your blog from this week’s photo challenge. 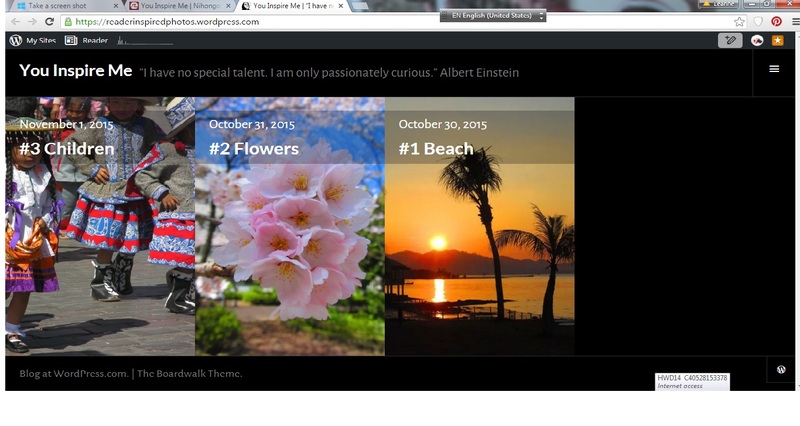 It is so amazing to read your stories of your NZ home and Japan and I think you are so smart to master the language. I went to a few classes to learn Japanese a long time ago but got nowhere. I am now addicted to watching Korean dramas and love the way the Koreans speak but I haven’t learned to speak Korean yet other than a few words. Anyway, ya, just love your blog. Cheers, Jess, Little Borneo Girl. Thank you! I am looking forward to checking out your blog too! Thank Anita, thanks for taking the time to check it out. I will drop by yours for a visit too. Thanks for te invite! I am very impressed with your wonderful blogs Leanne. Cheers! i like you intro. very nice writing style….i love Japan. Im eager to visit Japan at least once in my life.. Thank you Stephen. I hope you make it here one day. It is a fascinatinating place! thank you for your valuable comments….and thanks for your nice reply…. I hope you will continue to frop by and share them with me! Thanks so much Clem. I really appreciate the nomination. I hope it is ok but I have chosen to go down the no award path. You following me and checking in is my crowning glory award! I hope you keep visiting. Thank you so much for thinking of me! No problem leannenz, it took me forever to find 5 candidates who didn’t already recently accepted the nomination. I do very much appreciate the kind thought! hi nice to meet you, very nice blog! Thank you Arpita. I am very flattered. I hope you won’t be offended if I graciously decline. It is award enough if you keep visiting! I find it difficult to nominate 15 other bloggers! I don’t like the feeling of having to choose between so many wonderful people. I do sincerely thank you for thinking of me! That’s just fine, Leanne. Even I found it difficult to nominate 15 people – it is difficult to choose. My best to you! Thank Arpita. I do appreciate the thought very much! Oops! That exclamation should be deleted, and the end punctuation should be after the parentheses. Sorry about that! Thank you! I am just coming up to a 5 day break so looking forward to having time to check your blog out too! Sounds great! Hope you enjoy your respite from work. Thank you for taking the time to check out my blog on your upcoming vacation! Great to find your blog through Writing101! I got interested in Japan in an unconventional way I guess, through Nintendo gaming! I’ve even tried my hand at some Japanese games in Katakana/ Hiragana. Learned the signs, but that doesn’t by no way means I know what they say. But I have fun painstakingly trying to translate them! よろしくお願いします。to you too! I really like the look of your challenge! Such a good idea given all the お土産out there! Thanks I hope you will participate when you have a chance! Thanks for the Like on my comment. I lived on Okinawa when I was 16 and 17 years old, and loved it. It was a third world country then, and was not part of Japan at the time, even though the official language was Japanese. We lived about 50 feet away from a sugar cane farmer and his faithful water buffalo. I was reluctant to return to the states – I wanted to stay another year or two. Thank you for the encouragement! That is indeed what I am trying to do. Cheers Thank you I will have a look at it. What a joy to have found your blog! All my best to you. Your site is a must follow! I love your blog. Japan? What an interesting site! You’ve giving me some inspiration. Photos are a great way to further one’s message. Although writers are supposed to do that with words. Will follow your blog. Thanks for inviting me. Thank you. Mine is photo heavy but many writers use one photo as a visual prompt and write about that. I am doing the Photo challenges but there are a heap of writing challenges out there too. I am sure if you ask for recommendations you will find heaps. If you take part in those fellow writers will check out your efforts. Thanks for the follow. Off to see your site now! Also remember some people choose not to follow because they don’t like getting all the emails and updates but they may chose to bookmark your blog and visit once a week or once a month to see what has changed. Hey there. Just Checked your blog. A fabulous intro. That will pique people’s interest but I think you now need to get stuck into this class. Don’t worry about traffic etc. That starts to come after your blog takes shape. as you said you are just starting. You probably need to get 10 or so posts up over the next month or 2 and then I think you will see things start to move. The quality writing is there! At the moment you have the place of business set up but there is no merchandise to look at just yet! I like your side panel picture but it is difficult to read your tagline as it is white. Every theme is different but maybe you should see if it is possible to use a darker colour on the font? Nope, no business acumen what so ever! Sounds intriguing hearing a gaijin’s perspective and I so admire your language skills! Japanese must be so hard to learn. I’ve always been interested in Japan and I even took a short course in Japanese phrases for tourists a couple of years ago, just for fun, in my home town, but didn’t learn much. Except how to recognize and eat some foods! All those seaweed-packed triangles and dough balls can be a bit baffling! 😉 Anyway, l’m glad we “met”, looking very much forward to following you! PS. Is that person wearing a bunny tail in the background of the photo of you cooking?! Now I am intrigued! have to go find the bunny tail! Goodness, I never noticed that! It does look like a very pink Bunny tail! Yes they are cooking and we weren’t making rabbit stew! Nice meeting you here. It looks like I am going to enjoy immensely and have fun reading your blog. Thank you! I hope you enjoying it. Am looking forward to exploring you blog too! Thanks for the follow and for introducing me to your blog. I’m enjoying what I’ve read so far. Cheers, Su. Nice to read a fellow kiwi’s blog. I’m an American living and blogging in Britain. I’ve come to think that sharing bafflement is sometimes better than sharing grand conclusions. Maybe it’s always better–at least it lets me avoid generalizations. Yes even with the same language, we have different cultural perceptions. For me over the years travel has moved away from the guide books. Of course I love to visit certain “must see” spots but I love talking to locals, eating locally, finding local markets, concerts and theatre and factoring in time for exploring local neighbourhood places and time for unexpected destinations I find out about once there. Look forward to reading more of your bafflement and UK observations! Thanks for stopping by my blog. Your reply caught me just as I was thinking that pretty soon here my partner and I should declare ourselves tourists for a day and go someplace nearby but new. It kind of wakes up our perceptions. Plus it’s a great day out. Great blog. Just found you through “My Friday Blog”. I lived in Japan twice in my life as well. Though not for as long as you did. I also felt I was a bit wiser the second time around. I’ll enjoy following along on your adventures and reminiscing of Japan! Thank you! It is interesting the second time around. I feel like I am seeing it through different eyes. Thanks to Josh for the shoukai! I was a teacher as well. First time right in the heart of Tokyo. Second time, Kasukabe (Saitama prefecture). Where are you living? Didn’t catch that in the blog. Those are big words. Makes me remember how hard it was to get around Japan 🙂 Aah…being stuck in train stations -SO tired-just wanting to get home and hoping someone would come by to help! Great to meet you! Oh, Tobu-dobutsu-koen! It’s the boonies … but nice zoo! Thank you! I enjoyed your post on religion. Such a minefeild! But very much on the same page. It is, isn’t it! Thanks for reading and visiting! 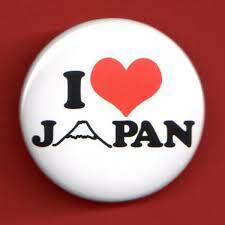 Japan is a country I’ve longed to visit and it looks as though my dream will come true in June! We’ll be visiting as guests of business partners and not able to freewheel, but that’s just fine. I like your gravatar, Leanne, rather gets the point of your blog across quite succinctly. That’s marvellous Barbara. I am sure the business associates will have you well covered but if you need any advice or have any questions feel free to ask! Tokyo is like my hometown. Thanks Susan I can see your comment.